Continuing with the product range of our Ecoline line, whose main feature is the protection of the environment, we offer our customers our new range of ecological napkins and tablecloths. 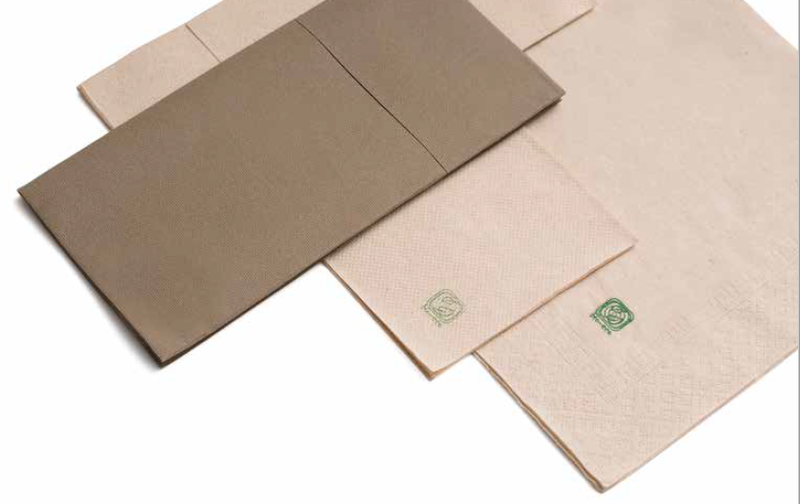 Our eco-friendly napkins are obtained by recovering the cellulose fibers contained in the non-bleached, non-bleached basic food paper packaging of a quality comparable to that of natural cellulose. Produced in its original color without using chemicals for bleaching. The products in our Ecoline range are superior in quality and durability and are produced with clean energy. 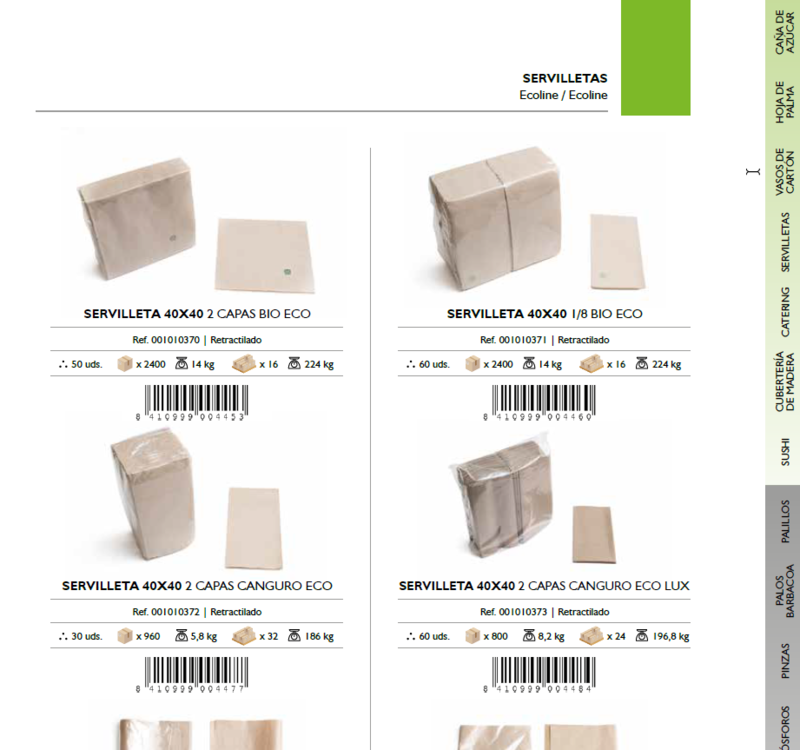 Thanks to their particular colour (beige shade), these products are a perfect match for any type of furniture.